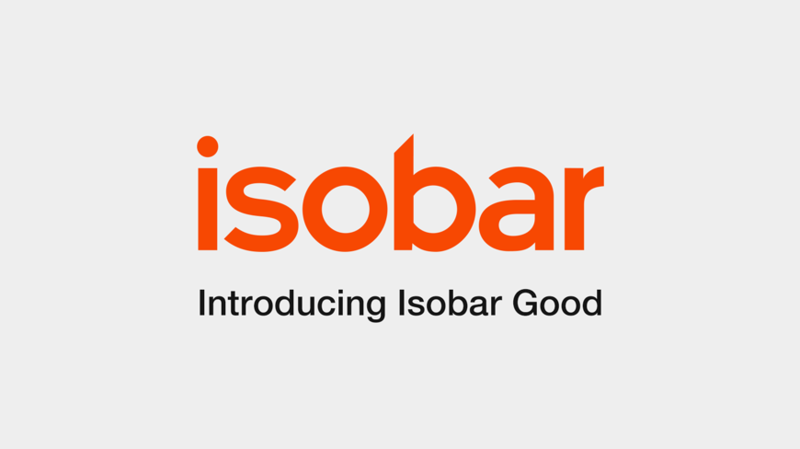 Today, Isobar launches Isobar Good - a division of their business dedicated to societal impact work, partnering with organisations to transform their products, services and strategies for a better future. Using the UN’s Sustainable Development Goals as the key litmus test for determining the scope and context of any given project, Isobar also uses the SDG as a framework for measuring the results of the work they deliver through Isobar Good. Importantly, Isobar is committed to this as an organisation and commitment means offering their most adept talent, delivering projects on time and on budget and holding those projects accountable to the same standards in terms of results that they would any other. In practical terms, this means not conducting this work on pro-bono terms, which in turn unlocks the opportunity to consistently offer the best people for any given job, not just those who are available or not otherwise committed to a charged task. In line with the overall ethos of Isobar Good, it makes the work sustainable for Isobar as an organisation. For clients, it translates to commitment across the board, not just with those most personally passionate about the subject matter. Whilst today marks the official launch of Isobar Good, this doesn’t represent a standing start for Isobar. Amongst many projects, they have already worked with Monash Health to understand and overcome the challenges chronically ill teenagers face transitioning from paediatric care to adult care and together with the Australian Red Cross Blood Service they worked to help unlock the generosity of Australians in donating one of their most valuable yet least costly assets. For more information on Isobar Good, visit www.isobargood.com.